At a time when string puppets ruled the puppet world, Harry Corbett bucked the trend by making a glove puppet the most famous and enduring puppet character on British TV. Working as a part-time conjurer in 1948, Harry Corbett happened to spot a teddy bear glove puppet for sale in a shop in Blackpool and decided to buy it as an amusing addition to his magic act. 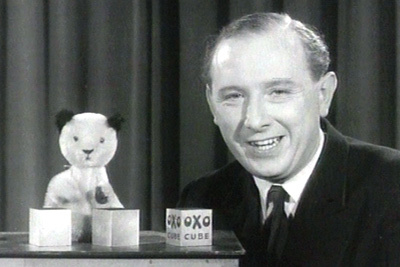 The bear made its first TV appearance with Harry in 1952 on a BBC show called ‘Talent Night’ and was an immediate hit with viewers. So much so, that Harry decided to re-style the bear (then just called “Teddy”), by blackening the ears and re-naming him “Sooty”. With his new name and individual personality, “Sooty” was soon back on TV in “Saturday Special” and so started one of the longest-running TV careers in British TV history. 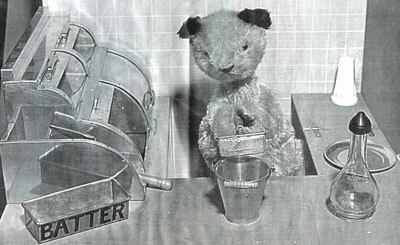 In 1957, a second puppet character “Sweep”, a dog with black ears and red nose was added, followed seven years later by a female panda – “Soo”, “Ramsbottom” the snake, “Kipper” the cat and “Butch” – another dog, but of a much fiercer breed than Sweep. 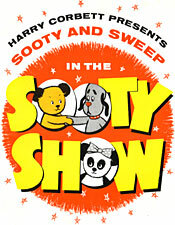 The Sooty Show was tremendously popular on both stage and TV, surviving a cancellation by the BBC in 1968, by transferring to Thames TV with even greater success. In 1975, following a heart attack, Harry decided to take things easier and handed over Sooty’s TV appearances to his son Matthew Corbett, although Harry did continue to make an occasional stage appearance. 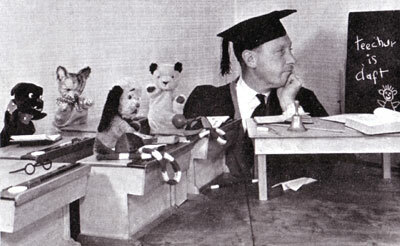 Sooty’s fame continues unabated well beyond Harry’s death in 1989 and Matthew Corbett's subsequent withdrawal from the Sooty phenomenon on Sooty's 50th birthday in 1998. 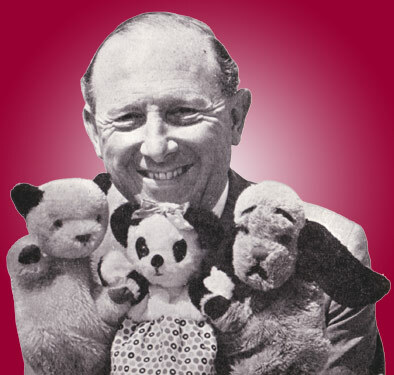 Update: June 2008 marked not only Sooty's 60th birthday, but also the acquisition of the rights to Sooty by Richard Cadell, Sooty's presenter since 1998. A bright future of Pantomime, National Tours and TV is planned.